In Maine Senate v. Secretary of State, the Maine Supreme Judicial Court (referred to as the “Law Court”) was confronted with statutory interpretation and separation of powers issues relating to the implementation of ranked choice voting. The case – not the first ranked choice voting case that Maine’s high court has considered – reached the Law Court under highly unusual procedural circumstances. Ultimately, the Law Court addressed only the statutory interpretation question, finding the constitutional issues non-justiciable. The ranked choice voting saga leading to Maine Senate was convoluted. In November 2016, voters approved an initiative, the “Act to Establish Ranked-Choice Voting” (“RCV Act”), that would have implemented ranked choice voting (“RCV”) for general elections in Maine for federal and state offices, as well as primaries. RCV, in contrast to simple plurality voting, requires a candidate to obtain a majority to prevail. 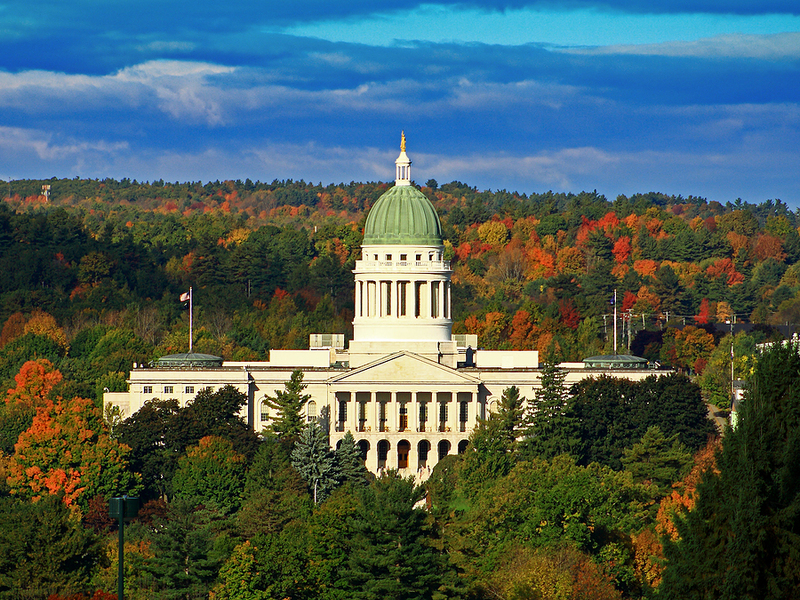 Shortly thereafter, the Senate requested an advisory opinion from Maine’s high court whether RCV complied with provisions in the Maine Constitution requiring that general elections for state office be determined by plurality. After considering the fascinating history behind those plurality provisions – which includes General Joshua Chamberlain (he of Civil War fame) averting a civil insurrection in 1880 after a contested election – the Court opined that RCV was unconstitutional. The Legislature then repealed RCV, but that repeal has been suspended by a people’s veto referendum that would reinstate RCV for federal offices as well as primaries. The people’s veto set the stage for a new legal challenge. After the Secretary of State issued proposed implementing rules, the Senate initiated a lawsuit against the Secretary. Among the issues raised were the following: (1) whether primary elections must be determined by plurality, because the RCV Act had failed to amend a statute so stating; (2) whether the Secretary was authorized to spend money for RCV, absent legislative appropriation of funds for implementation; and (3) whether the Secretary could require state police to transport ballots for centralized counting without statutory authorization. Because of the urgency of these questions, they were reported directly to the Law Court. The Law Court directed the parties to file 10-page position statements and held oral arguments, all within 24 hours. In a decision issued days later, the Law Court rejected the Senate’s challenges. The Law Court first took up the statutory issue. When the RCV Act was adopted, it created a statutory conflict because it expressly applied to primaries but left untouched a separate provision providing that primary elections were to be determined by plurality. The Law Court resolved this conflict by determining that the RCV Act – as the more recent statute – repealed the plurality requirement by implication. The Law Court found the other questions non-justiciable, concluding that resolving them would violate separation of powers. The Law Court declined to answer the question involving the Secretary of State’s expenditure of funds because the Senate had provided “neither a constitutional basis . . . nor a statutory foundation” for the argument that the Secretary could not use remaining funds from a general appropriation to implement RCV. The Law Court also declined to reach the question of the Secretary’s authority over ballot transportation because it perceived no “constitutional crisis sufficient” to compel it to adjudicate the question. The Law Court’s holdings on these two questions are notable, but likely limited given the unusual procedural posture of the case. The Law Court was ill-served by the abbreviated briefing schedule, which did not allow full development of the legal issues. The Senate had cited in its complaint Article IV of the Maine Constitution, which reserves to the Legislature all power to legislate and appropriate monies, as a basis for its claims. This argument was not substantially developed, given the brevity of the parties’ position statements. Because it expressly premised its conclusion that the questions were non-justiciable on the absence of constitutional issues, however, the Law Court left open the possibility of future challenges to executive action when separation of powers arguments are fully presented to the Court. 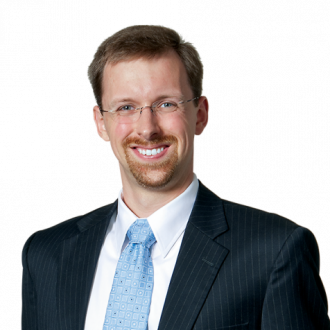 Joshua Dunlap is a partner at Pierce Atwood LLP. He successfully represented the Maine House Republican Caucus in arguing that the Act to Establish Ranked-Choice Voting violated the Maine Constitution.